«©NCSX» A few months ago, we purchased a number of 32GB USB flash drives for about $80 each. A few years ago, the going rate was about $200 for a 4GB flash drive which was top of the line back then. Memory prices keep dropping and capacities continue to grow ever larger. That is, unless you're purchasing a Star Wars themed flash drive that commands a premium price thanks to the novelty of its special design. 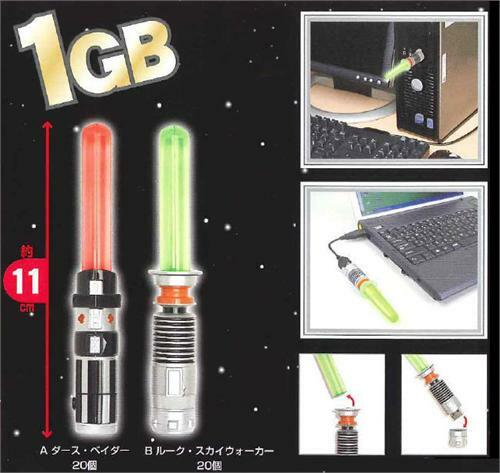 Taito's new Star Wars Light Saber USB Flash Drive is shaped like a stubby light saber which measures 11cm or 4.33" in height with 1GB of storage capacity. Sure, that isn't much nowadays but you can plug it into your PC and utter corny lines like, "The Force is With Me" or "My feeble skills are no match for the power of the Dark Side." Two versions of the flash drive are on offer (red or green). A short 3" USB cable is included in the packaging in case you have need for a short 3" USB cable. 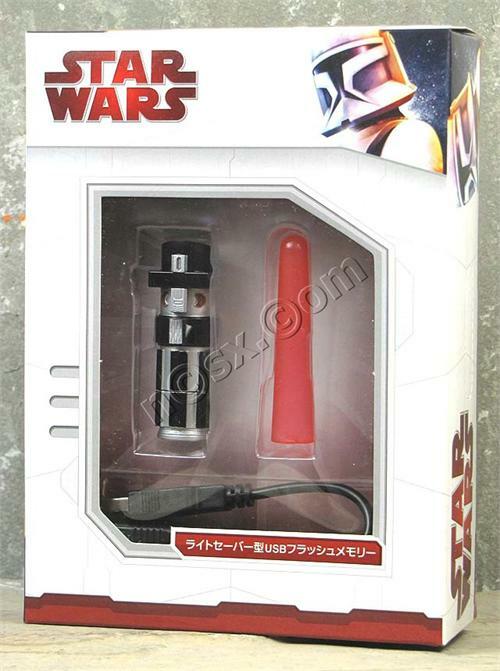 A removable cap on top of the light saber covers the USB connector to protect it from dust, pollen, and other airborne motes. When the USB drive is being accessed by a PC, the LED in the handle of the saber lights up and pulsates to show that data is being transferred. All preorders have shipped as of last Friday and new orders are welcome to ship today at US$29.90 each. 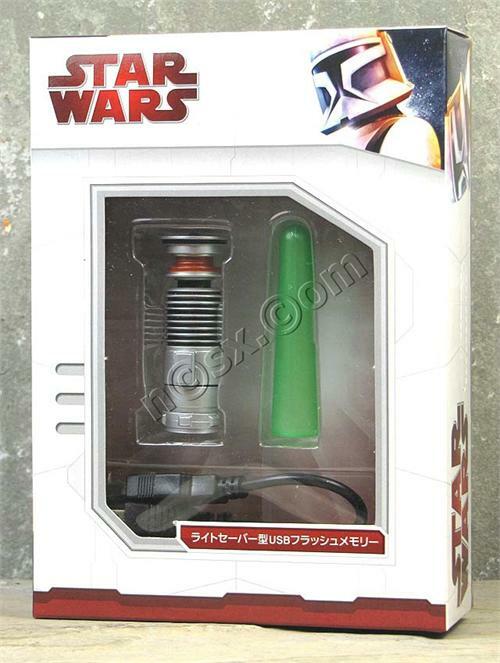 View NCS' photo gallery for the Star Wars Light Saber USB Flash Drive. This document is ©NCSX 2009, 2010. All rights reserved. No reproduction in whole or in part of this document may be made without express written consent of National Console Support, Inc.
As the design consultant and conceptual artist for the original Star Wars trilogy, Ralph McQuarrie helped to bring the vision of George Lucas to life.